SkyTest® für FEAST, DLR/DFS, etc. For aspiring aviation professionals, or those looking to launch into the next stage of their flying careers, the Pilot Career Guide is an essential tool. Designed for reference this book has been written for aviation career development, both in Canada and abroad. 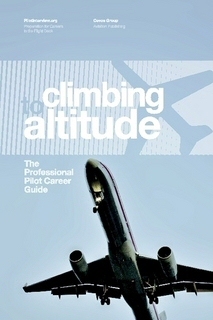 Whether you’re looking to advance your networking skills, refine your professional resume or simply better understand the aviation industry, this guide gives you the inside track– from chief pilots and airline recruiters– on today’s industry expectations for perspective candidates throughout the screening process. Artikel wird weltweit versandkostenfrei geliefert. Alle auf dieser Seite ausgewiesenen Preise inkl. USt., ggf. zzgl. Versandkostenpauschale. Weltweiter Versand mit DHL und Partnern. Lieferung innerhalb EU in 7 Tagen ab Bestellung/Bezahlung.